We bring the top insurance companies together to compete for your business. Small group plans enroll 1-100 W-2 employees. Finding the right group insurance carriers are tough. 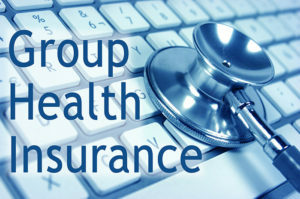 Finding the right group insurance plan options can be even tougher. How do Brokers Support You? To be a qualified and professional outsource to you and/or your business while assisting you improve your bottom line with creative strategies and expertise. We are a full service insurance agency. We specialize in all levels of Business & Personal Health Plans & Liability related products. In addition employer based payroll and Human resource services.. We have been licensed to represent all the major insurance carriers for over 35 years. Jim is the “go to” guy for my clients health insurance needs. He understands the complexity of the game and how it is played. Jim cares very much about his clients. His integrity instills great trust in all those that work with him. Jim is one of the most conscience, honest and knowledgeable brokers that I have had the pleasure of working with in my 34 year in the insurance business.